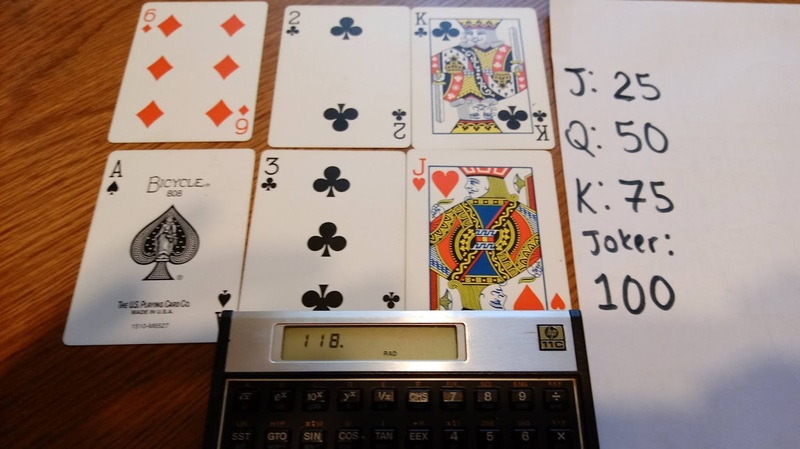 Letters Round: a contestant chooses 9 letters consisting a combination of vowels and constants. Both contestants have 30 seconds to come up longest valid work possible. 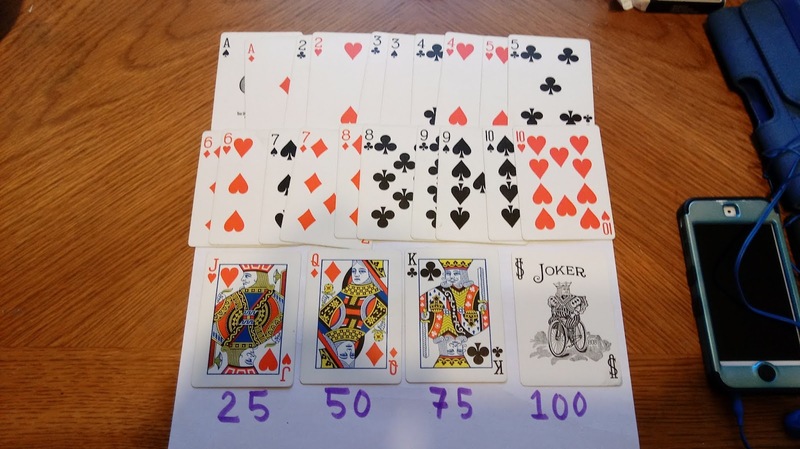 Numbers Round: this will be described in detail below. Conundrum: this is the final round of a game, where both contestants are to solve an anagram (usually made of two or three smaller words) of nine letters. It is a toss up. Sometimes one player is so far in the lead that this round is just for show. In the British game show, a champion who wins 8 straight games retires. This game show is enjoyed around the world, mainly in Britain (1982 - present), France (1965 - present) named Des chiffres et des lettres, Serbia (1993 - present) named TV Slagalica, and Turkey (1990 - present) named Bir Kelime, Bir islem. Curiously, this game show has never aired in the United States: only two unsold pilots. Thank goodness for YouTube. We are given six numbers. Typical the pool of numbers contain a pair of each integer 1 through 10, one 25, one 50, one 75, and one 100. Out of the pool, six numbers are selected. You want to get to the target number exactly if possible. Sentences that get near the number, within 10 high or low, are allowed. On the British game show, the most points are given for hitting the target exactly (10), 7 for being 1-5 away, and 5 for being 6-10 away. The game show allows 30 seconds. All results, including immediate results, must be integers. 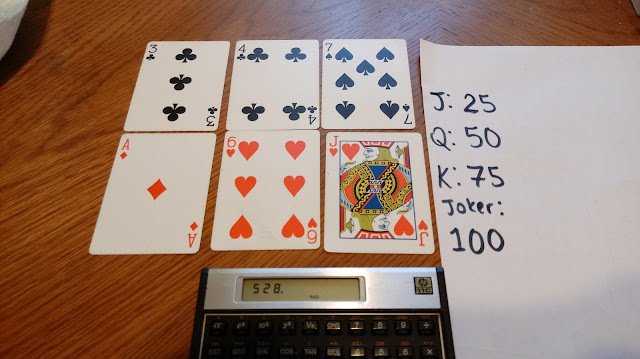 Several calculations may be combined. 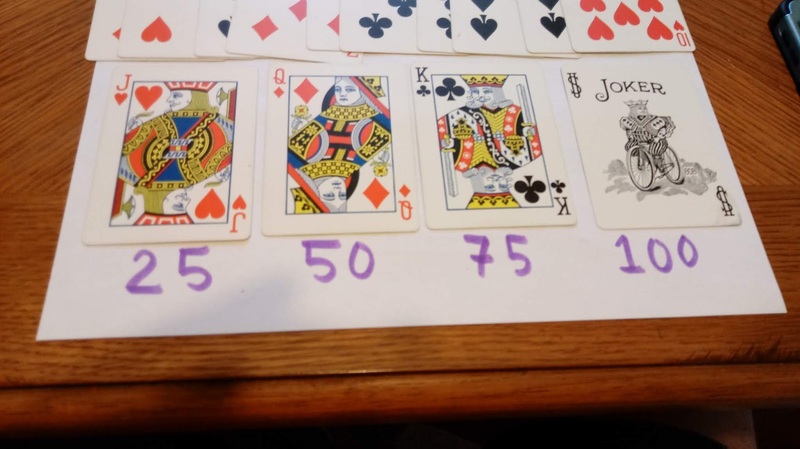 Use can think of a three digit number for a target, or let a calculator or computer application determine the target numbers. If you need more help, watch the videos in the Sources section to get a better idea on how the Numbers Game is played. See what you can come up with... depending on the draw, it could be difficult and it could be easy. Have fun! 1. Use only the numbers drawn. You can use a number twice if the number has been drawn twice. 2. Get close to the target number as possible. When a U.S. company or entity pays a foreign entity or a person who is not a U.S. Citizen and it is U.S. source income, IRS law dictates that the payer must determine whether the payee is a resident alien or a non-resident alien. 1. If the payee is physically present in the United States for less than 31 days in a calendar year, that person is a nonresident alien. * Count all the days the foreign national is in the U.S. this current year. * Count 1/3 of the days present in the U.S. last year. If the sum is 183 or greater, then the payee is a resident alien. Otherwise the payee is a nonresident alien. Tax laws for payments to U.S. resident aliens versus nonresident aliens differ; the specifics are beyond the scope of the blog. 1. We are assuming that none of the exemption rules apply (such as an F-1 student does not count any days towards the substantial presence test for up to five calendar years). 2. The program also assumes the payee does not leave the United States when the payee enters the country. If the payee leaves the U.S. for a time period, this program will not give accurate results. Please Note: This program is NOT tax advice. Should you have any tax questions, please consult a professional tax prepare. Also, this date is for federal tax purposes only, and has no effect on the payee's immigration status. The program is assumed to be in U.S. date M.DY format (MM.DDYYYY). There is no rounding or fraction simplification involved with this format. Casio fx-CG50: Version 3.20: Python Comes to Casio! The Casio fx-CG 50 joins the HP Prime and the French calculator NumWorks to add Python to its list of programming modes. The Python mode comes by a software update. This update is only for the newest Casio fx-CG 50. I'm not sure if Python will be available for any other Casio models yet. The Python is Micro Python 1.9.4. Below are screenshots of the Python mode in action. I typed in the OCTA program from the User's Guide as an example. Click under OS Update Information. T = time before solar noon (12 PM). 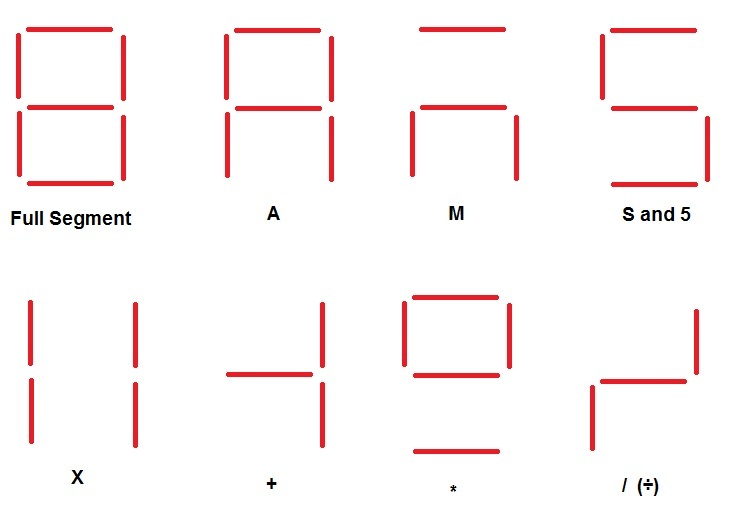 Example: 9 AM, T= 3. 3 PM, T = -3. Before running the program, store D in R1, L in R2, and T in R3. Hewlett Packard. "Sun Altitude, Azimuth, Solar Pond Absorption", HP 67/97 Energy Conservation December 1978. The HP 11C uses the following registers in statistical analysis. Be sure to clear registers by pressing [ f ] [ x<>y ] (CLEAR REG) before beginning. Also, after clearing the registers, store 1 in register 7 (R7). Don't forget to store 1 in R7 prior to running the program. Note: The keystrokes are also applicable for any HP 11C emulator apps. To run: enter U (object distance) then F (focal distance). Then run label C ([ f ] [10^x] (C)). The first result is V (image distance). Press [R/S] to get M (magnification). 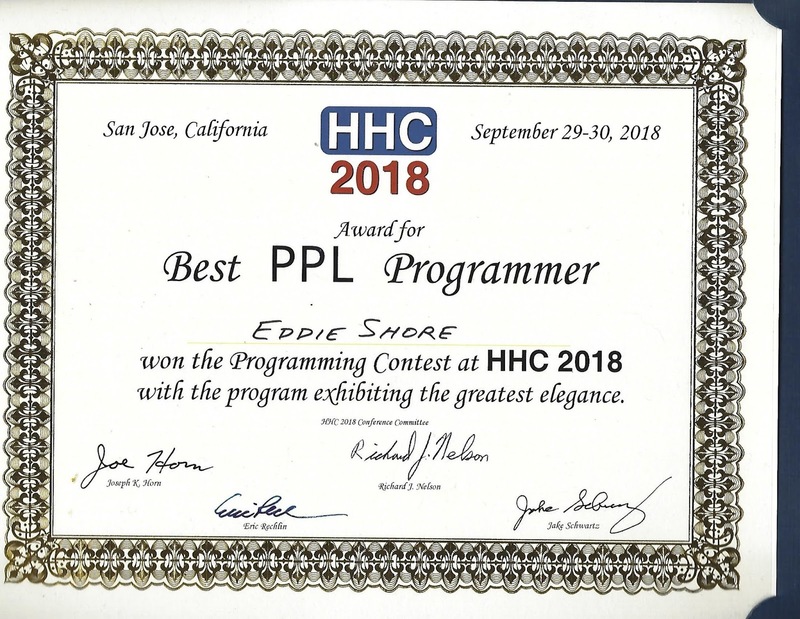 HHC 2018 took place on September 28 and 29, 2018 in San Jose, CA. Earlier I gave a short description of each of the talks of the conference. Here are links to the videos, as provided by hpcalc.org. I am under a non-disclosure agreement, which means that I will not be able to discuss certain details of the conference due to confidentiality. Chrapkiewicz takes us on a history of Silicon Valley. where a_i are all real coefficients. Côté prepared an HP-IL Compendium, consisting of any information related to the Hewlett-Packard Interface Loop (better known as the HP-IL). Dalrymple introduces a 41C Flexible Hardware Module (FHM), which is a circuit board to be placed in a regular HP 41C. 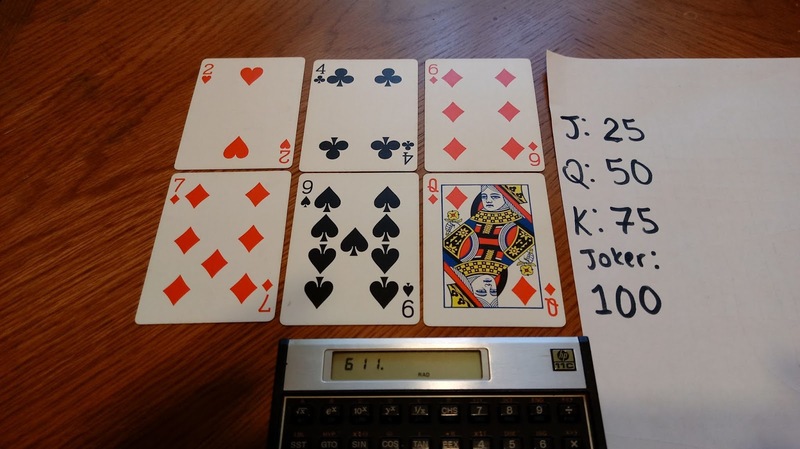 Cochran tells the story on how the HP 35 calculator came to be. Gross and Hayden went through the process on how the HP 15C Advanced Functions Handbook was recreated. Jim Johnson - What was the first Personal Computer? Jim Johnson takes us through a time line and determines what was the first personal computer. Richard Nelson - Add SIG to FIX, SCI, & ENG? Richard Nelson is a fan of significant digits, especially when it comes to working with analog meters and digital meters. Chrapkiewicz demonstrates printing programs and text from an HP 48 to a HP 7550 plotter. 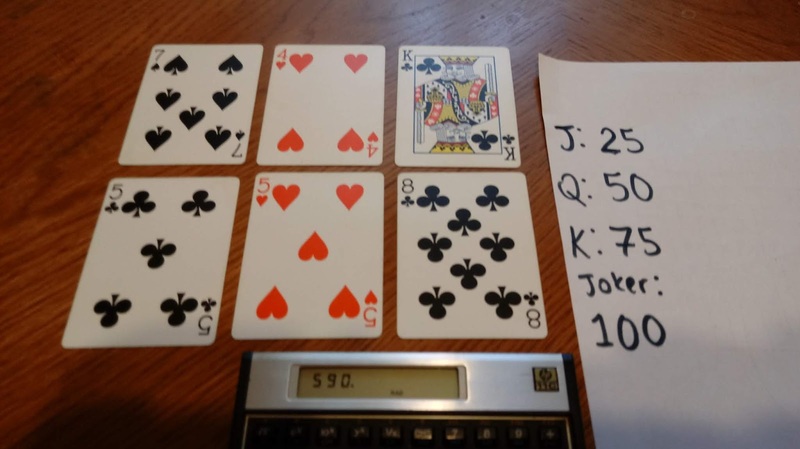 Using a WP-34S, Schwartz tests the reliability of random number generators. Chrapkiewicz tests the audio performance of the HP 48, HP 48GII, and HP 49g+. Shammas explores an alternate algorithms for numerical integration, the HFVQI (Half-Function Value Quadratic Integration). Benoit Maag talks about how he re purposed two classic Texas Instruments calculators, the TI-1200 and TI-1250. See you next time - I am working on some programs for the HP 11C. 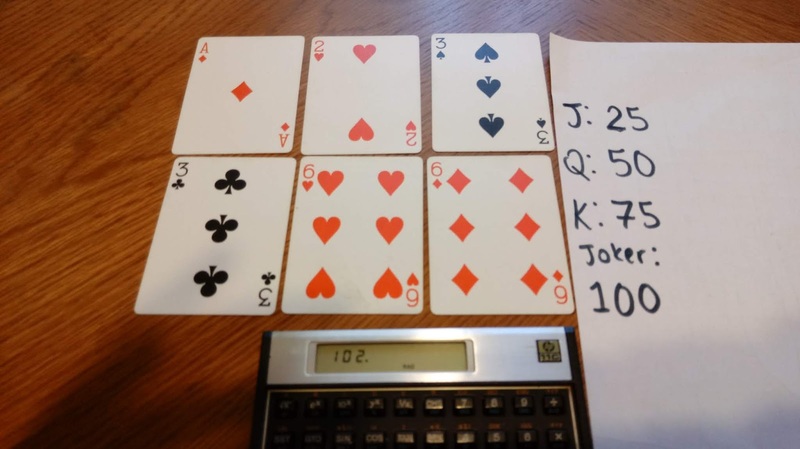 The RPN 1250 is a re-purposed Texas Instruments TI-1250 calculator by Beniot Maag. 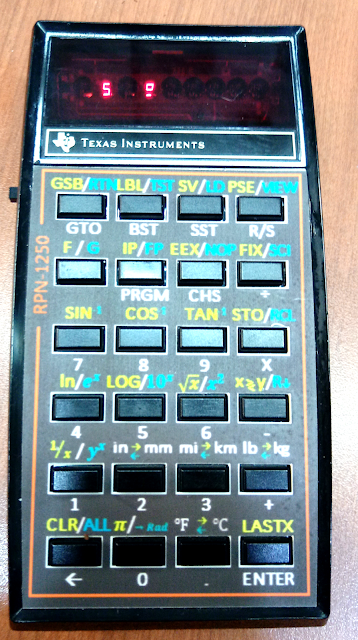 Maag has previously re-purposed the Texas Instruments TI-1200 into the RPN 1200. Nothing short of marvelous. The RPN 1250 is powered by a V9 volt battery. The RPN 1250 has 24 keys. Each key, except one, has a primary function with two shifted functions. The shift key, labeled [ F/G ], is a dual shift key. Press [ F/G ] once for the first shifted functions (in yellow), twice for the second shift functions (in blue), and three times recycle to the original function. The functions include: trigonometry, logarithmic, exponential, integer part, fraction part, reciprocal, roots, and powers. Four sets of conversions are included: in/mm, mi/km, lb/kg, and °C/°F. The angle for the trigonometric functions are in radians. There is a convert to radians function. The display is 7 digits or 4 with 2 digit exponents, with the default mode is FIX 2 (2 decimal places). However, the largest number the RPN 1250 can handle is 3.40 * 10^38. The escape mode allowed the use to show what version of firmware, adjust the brightness of the LCD display and execute display tests. The RPN 1250 has RPN keystroke programming. There are 20 registers (0-9 and .0 (dot 0) through .9 (dot 9)). Store and recall arithmetic are available. Stack contents are accessible, along with an indirect addresses through the [ENTER] key. There are 20 labels available (0 to 9 and .0 to .9). On the surface, the memory is volatile. However, the RPN 1250 has three permanent slots that we can store the program space into three slots. There are twelve tests that called by the TST function: x = 0, x ≠ 0, x > 0, x ≥ 0, x < 0, x ≤ 0, x = y, x ≠ y, x > y, x ≥ y, x < y, and x ≤ y. Each step in the program is shown by the step and the command pressed. Displaying the command proved to be a challenge for Maag, since he only had seven segment characters to work with. The program space is 98 steps. The programming works well and is a pleasure to use. The thing I have to get used to is the having to press the shift key two times for the second shifted functions. Let's take a look at few sample programs. Each program has input and output rounded to 2 decimal places. Store b in R1 and c in R2. Run the program. You get the discriminant. Thank you Benoit Maag, this calculator is truly one of the kind! 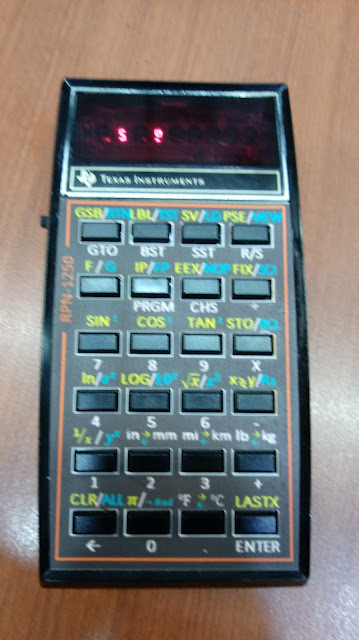 This is one calculator I sought after for a long time. Thanks to Mark Hardman for donating the door prize at HHC 2018. 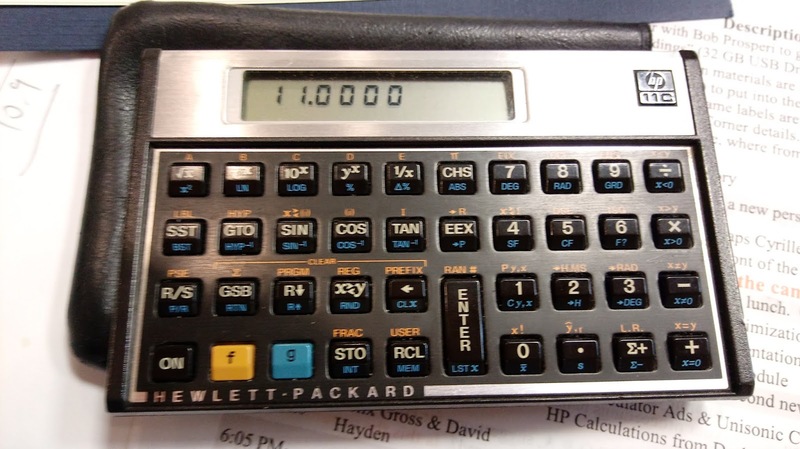 The HP 11C is an RPN programmable scientific calculator from Hewlett Packard. The calculator has four stacks (X, Y, T, Z) to use for calculations. The 11C is part of the landscape series that Hewlett Packard produced in the 1980s, including the long-standing and still current selling HP 12C, the HP 15C, which got a short reprise in 2011-2012, and the beloved HP 16C. The HP 11C does not have as many functions as the HP 15C, and we'll get to the comparisons later. The HP 11C has memory that shared between registers and program lines. The HP 11C has 63 permanent lines of memory and one permanent register, R_I. Note that R_I is also used as an indirect register. The rest of the memory is a combination of up to a maximum of 20 registers or 140 additional program lines. Each numerical register costs 7 lines of program lines. Conversion from numerical register to program lines are automatic as program space increased in size. The HP 11C allows for labels A, B, C, D, and E with numeric labels 0-9. Program execution from labels A-E can be run directly from the keyboard. There are eight comparisons tests: x ≤ y, x < 0, x > y, x > 0, x ≠ y, x ≠ 0, x = y, and x = 0. If the comparison test is true, then the next step is executed. Otherwise, the next step is skipped. DSE (decrease, skip if equal) and ISG (increase, skip if greater) are present, uses the current value in R_I. DSE and ISG are used for FOR loops, the format of R_I is nnnn.xxxyy, n is the current value, x is the final value, and y is the increment/decrements. There are two flag variables for the HP 11C: 0 and 1. The three commands with flags are SF (set flag), CF (clear flag), and F? (is flag set?). There is no indicator when flags are set. The back of the HP 11C contains important information: four conversion formulas, two variable functions, statistics registers, ISG/DSE diagrams, and the meaning of seven error codes (0-6). The HP 11C has linear regression (y = a*x + b). The L.R. displays the intercept (b) in the X stack and slope (a) in the Y stack. Stat registers used: R0 = n, R1 = ⅀x, R2 = ⅀x^2, R3 = ⅀y, R4 = ⅀y^2, R5 = ⅀xy. You will need at least 6 memory registers. The keyboard of the HP 11C matches the legendary reputation of Hewlett Packard calculators have for keyboards. Yes, I recommend the HP 11C for the collection. If you want to find an HP 11C for sale, you are going to have shop for the best price because they are popular, like the HP 15C. The HP 11C does not have as many functions of the HP 15C. First, the memory space is not as great (203 for the 11C, 448 for the 15C). Also the HP 15C has integration, a solver, matrix, and complex numbers. The tests for the 11C are right on the keyboard (the shifted functions of the arithmetic functions), while the 15C has the majority of tests through the TEST n command. where x is the number of days from birth. I entered an HP Prime and won in that category. Here is the program listing. HHC 2018 took place on September 28 and 29, 2018 in San Jose, CA. If you have not gone to a HHC conference, and you love calculators and math, I strongly encourage you to attend. The conferences take place typically around the latter half of September. There will be videos from the conference in the upcoming weeks from hpcalc.org. The following is a short summary of the talks presented in the conference. Chrapkiewicz takes us on a history of Silicon Valley. Despite what most people believe, which included be, the term Silicon Valley did not originate int the 2000s. The term goes back to Don Hoefler, who first used the term in his article "Silicon Valley in the USA" in 1971. * A plaque dedicated to inventor Dr. Lee de Forest and the Electronics Research Laboratory, located on Channing Street and Emerson Avenue. * The HP Garage, located at 367 Addison. * Stanford University and Stanford Industrial Park. * A plaque and semiconductor display dedicated to the Schokley Semiconductor Laboratory at 391 S. San Antonio Rd. Even though Dr. Shockley of Bell Labs started the research into silicon devices, he had an infamous reputation, resulting of eight members of his team left Shockley for the competitor Fairchild Semiconductor in 1957. Chrapkiewicz also highlights his career and how it lead him to Silicon Valley. He now works in Audio & Acoustic Research at Ford Motor Company. His current office is located where the Hewlett Packard sales and service was once located. Another method described is a Durand-Kerner algorithm, which uses four equations for iteration to find real and complex roots for p(x). The method is found to be effective in finding roots of polynomials with both real and complex coefficients. Côté prepared an HP-IL Compendium, consisting of any information related to the Hewlett-Packard Interface Loop (better known as the HP-IL). The Compendium took six months to complete. The HP-IL is an interconnection bus that was in the use during the 1980's and 1990's, and serviced the HP-41C, HP-71B, HP-75, HP-80, and general computers. The peripheral types covered by the Compendium includes controllers, storage devices, printers, plotters, display devices, modems, and other control and specialty devices. Dalrymple introduces a 41C Flexible Hardware Module (FHM), which is a circuit board to be placed in a regular HP 41C. The module is an upgrade which can facilitate the installation of the time module, extended memory modules, extended function module, service and printer service module, and MLDL (Machine Language Development Lab). The module is a Lattice iCE40Ultra FPGA, which can be flashed once. However, the FHM board contains a 32768 Hz oscillator and additional memory resources due to efficient use. Also introduced is the GNSS module, a 4K ROM module, also made to fit in a HP 41C. This module gives additional functions, essentially turning the 41C into a GPS system. You can get the altitude, latitude, longitude, plus display format options and other ROM option commands. * Unisonic 1040: four-function calculator with a GPM button. Noted for it's white, blue, and orange keys on a metal case. It ran on either AAA batteries or a 9 volt battery. * Unisonic 767, 788P, 739SQ, 731: These are also four-function calculators with additional functions such as reciprocal (1/x), square (x^2), and the pi (π) button. * Unisonic 931: A small handheld four-function calculator. * Unisonic CS-14: This is a large four-function calculator with several metric-US conversions listed at the bottom. * Unisonic CASINO 7 and 21 Jimmy The Greek: These are both four function calculators with a blackjack game. * Unisonic 796: A scientific calculator with a shift key only for the inverse of the trig functions (asin, acos, atan). * Unisonic 799: A simple scientific calculator. Your mileage may vary depending on which version of the 799 due to some of the productions had difficult to read key markings. * Unisonic 1299: The polar/rectangular and degrees/degress-minutes-second conversions are added. * Unisonic 1499: Add hyperbolic functions (a [HYP] key), also had a red display. * Unisonic 766: A finance calculator featuring linear regression, cost/sell/margin calculations, and time value of money calculations. 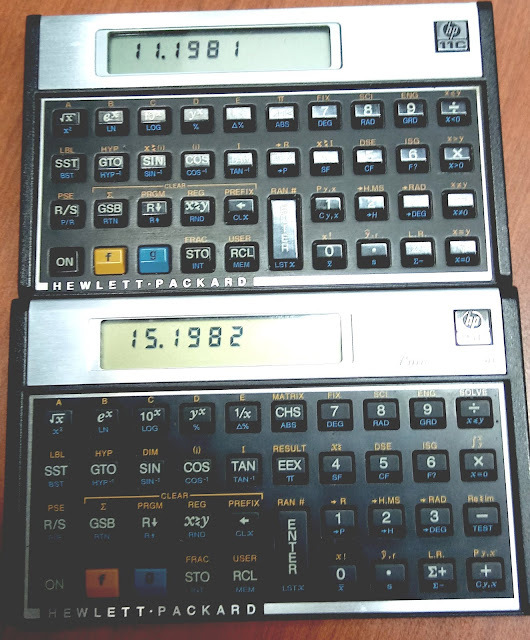 It was seeing Unisonic calculators in K-Mart stores in Nashville is what inspired Wright to get into calculators. 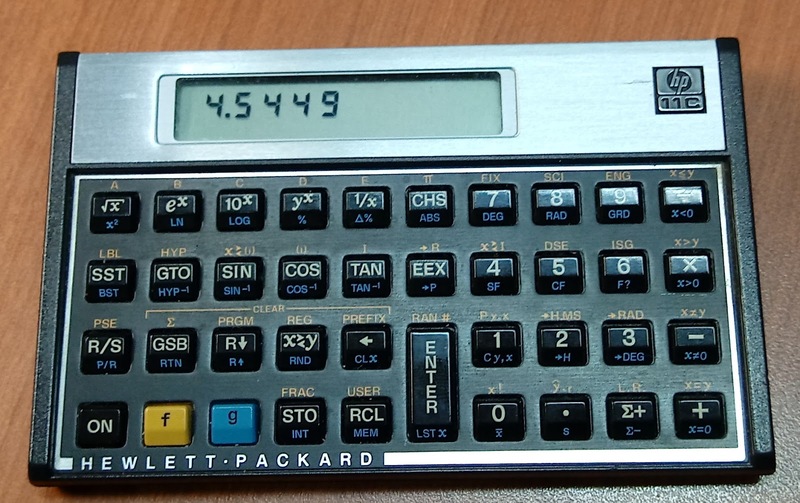 Cochran tells the story on how the HP 35 calculator came to be. Cochran is loved in the HP calculator community. He is fundamental in the development in both the HP 9100A and the HP 35, along with HP 65 card reader, the 204 oscillator, and the 3440 digital voltmeter. For what the HP 35 brought to the engineers, scientists, and math enthusiasts in 1972, the first handheld calculator to have trigonometric functions, logarithmic functions, and power and root functions, it was no wonder why people lined up to pay $395 for this marvel. The HP 35 was awarded the IEEE Milestone in Electrical Engineering and Computing Award in 2009. Gross and Hayden went through the process on how the HP 15C Advanced Functions Handbook was recreated. This mainly involved scanning images, recreating the examples, creating keyboard fonts, and lots of proofreading. This results are outstanding and beautiful. They also presented a recreated HP-10C manual. * The computer must be digital and programmable. * The computer must be commercially available or be readily assembled via a kit. * The computer must be ready to be use after the basic instruction manual. The presentation takes us through, among others, the IBM PC (1981), Apple ][ (1977), MITS Altair 8800 (1975), even the HP-65 calculator (1973), Xerox Alto (1973), HP 9830A (1972), Kenbak-1 (1971), Minivac 601, even the GENIAC (1955) before arriving at the Simon (1949). Why the Simon? The Simon was a computer kit first described in the 1949 book "Giant Brains, or Machine That Think". The book provided plans to build the Simon computer, and influenced further development of interactive computers. Johnson ended his presentation with demonstrating his Altair 8800. Richard Nelson is a fan of significant digits, especially when it comes to working with analog meters and digital meters. Nelson states that significant digits are needed and are useful for digital specifications, consistent accuracy, scientific calculations, and reporting results in technical publications. * Final zeroes that is followed by a decimal point (aka trailing zeroes). This can be tricky. The number 1000 has 1 significant digit, but the number 1000., with the decimal point put after the final zero, has 4 significant digits. In the proposed significant digit mode, you are required to enter numbers with that many significant digits. Rounding presents a challenge, particularly the extra digit is 5. Example: rounding 13.5 to the nearest integer. One proposed method is the Banker's method. The rules for Banker's method are the same except when the extra digit is 5. In the case with .5, the number gets rounded to the nearest even integer. 12.5 gets rounded to 12, while 13.5 gets rounded to 14. To my knowledge, no calculator currently has a significant digits rounding mode. Chrapkiewicz demonstrates printing programs and text from an HP 48 to a HP 7550 plotter. The plotter, introduced in the mid 1980's, handled four sizes of paper: type A (letter size, 8 1/2 x 11 inches), type B (legal size, 11 x 17 inches), A3 and A4. All commands dealing with the printer were required to be terminated by a semicolon, with labels ending in 03h. The text is ASCII. Furthermore, the plotting space is limited by hard-clip limits and soft-clip limits, the latter determined by the user. Using a WP-34S, Schwartz tests the reliability of random number generators. One of the most used involves the multiplication of 997. As far as the random number generators involving successive multiplications of 997, your mileage may vary on which random seed you start out with. Seeds like 1, 3, 7, 17, 21, 23, 41, 43, and 0.200001 are good but any multiple of 2 or 5 isn't. Schwartz looks for the random number generator to have a uniform distributions and uses the power spectrum, moments, and the Chi Square (χ^2) test are criteria. With the χ^2 test, the comb factor and the number of bins are used to further investigate the distribution of the random number generator. Chrapkiewicz tests the audio performance of the HP 48, HP 48GII, and HP 49g+. He states that the original beeper on the HP 48 is louder than later calculators, however, the tones were more sinusoidal on later models. * Signals can be characterized by a linear combination of harmonics, such as a Fourier Series. * The microprocessor's clock rate determines the audio frequency of the calculator. * The hearing capacity of a bat exceeds the hearing capacity of a dog, which in turn exceeds the hearing capacity of a human. * The calculator's beeper can be use to set up tones that beep on the hour, minute, even set up alarms. * The Bifurcation diagram, set up by the equation x_(n+1) = (x_n)^2 + c where x_0 = 0, is a visualization of how tones bifurcate with each successive calculation. With this, as c decreases, particularly towards 440 Hz, the successive tones get more chaotic. Side note: I wish the HP Prime had a beeper, it was one of the things that made HP calculators unique. Shammas explores an alternate algorithms for numerical integration, the HFVQI (Half-Function Value Quadratic Integration). This involves calculating the midpoint between the integral limits and performing an inverse Lagrangian interpolation using the following points (a, f(a)), (b, f(b)), and (c, f(c)), where c = (a + b) / 2. An advantage of this method is that you can reduce the number of intervals needed to reach good accuracy. Benoit Maag talks about how he re purposed two classic Texas Instruments calculators, the TI-1200 and TI-1250. Despite the limited amount of keys, Maag has re-purposed a TI-1200 into the RPN -1200 and a TI-1250 into the RPN -1250. This is done by replacing the microchip with a reprogrammed microchip with a driver. The RPN-1200 has a Microchip PIC 18F2550 with a MAX7219 LED Driver and a 5V power supply, while the RPN-1250 has either a PIC 18F2550 or 18F2680 microchip with a MAX7219 LED driver. What are the results? A full functional RPN scientific calculator. The RPN-1250 is a programmable scientific calculator, similar to an HP 29C. 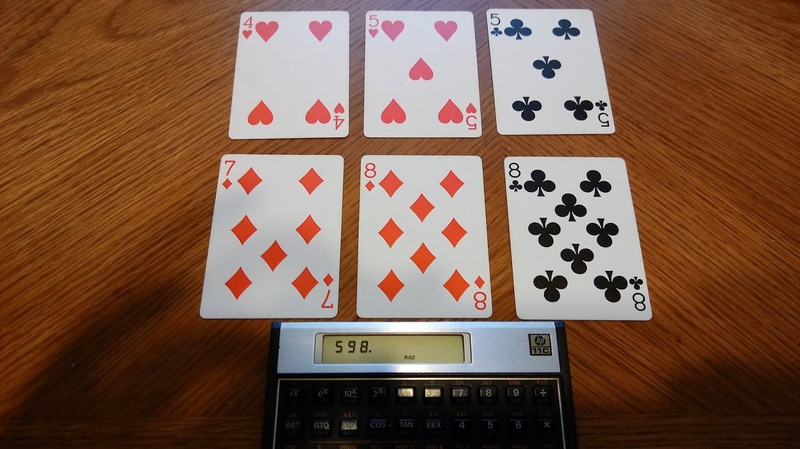 The RPN-1250 has 98 steps with storage and recall arithmetic, indirect addressing, a host of US-metric conversions, and three slots to save programs. Maag also had to reconfigure the display, which proved to be a challenge. Each character has 7 LED segments. Some letters ended up a capital letters while others were lower case. Below is a sample. I won his RPN-1250 as a door prize, it's truly one of a kind, and I plan to post more details about it in a future blog post. HP 11C: I won it because I won a programming contest! RPN 1250: One of a kind, re-purposed calculator made by Benoit Maag.